Looking at the title, one might assume that htoL#NiQ: The Firefly Diary might have been named by someone mashing their keyboard; however, there is meaning to the madness. The Japanese name of the game is Hotaru no Nikki (which translates to The Firefly Diary), and if you look closely, the Western version of the title is a distorted approximation of that. 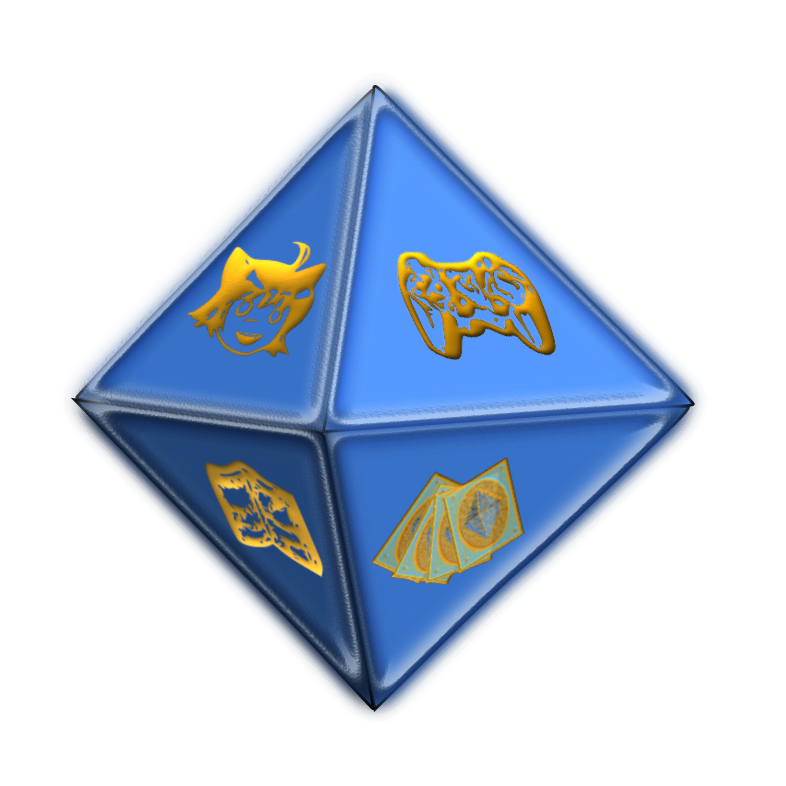 And somehow that slightly warped version is quite fitting for this game, as you’ll see below, but as my editor points out, it’s still annoying to say. 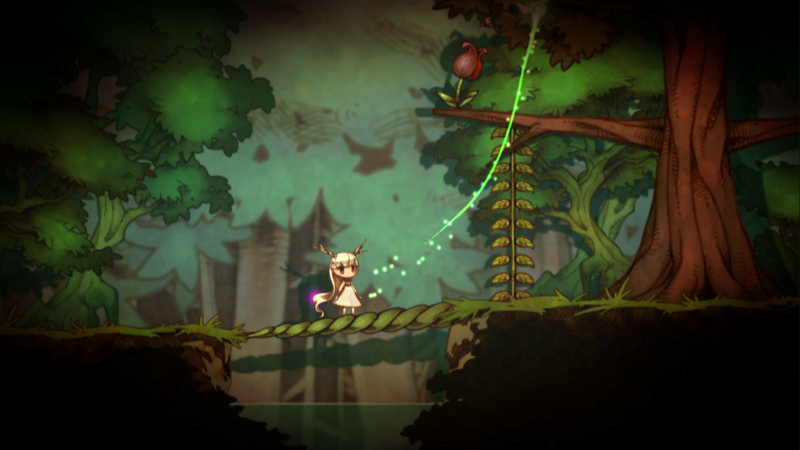 As the game opens, you control Lumen, a firefly that leads a young, amnesia-stricken girl named Mion through the game. Mion wakes up in a desolate, ruined area and it is up to Lumen to lead her to safety. However, as the world is full of rubble and decrepit structures, sometimes the way out isn’t clear. Fortunately, you are introduced quickly to Umbra, a firefly that lives in the shadow realm, who can destroy, activate or knock over various parts of the environment to clear a path. Creating these paths is vital, as Mion will follow Lumen’s light anywhere on screen, even if that means Mion will jump or fall to her own death. Good job killing her, hero. Fortunately, htoL#NiQ is pretty forgiving about its restarts when you do eventually kill Mion–and you will kill her over and over again thanks to the somewhat awkward controls and the sheer difficulty of the game. On the bright side, this means that you can try several different ways to solve each area’s puzzle without much penalty. That is not to say the game isn’t frustrating–timing Mion’s movement across a swinging girder or dodging shadowy monsters isn’t always easy because you don’t directly control the adorable, little munchkin. All of her movements are on a slight delay because she has to figure out just how to follow the player-controlled fireflies. Lumen is controlled by the front touchscreen while Umbra is controlled by the rear. As someone who hasn’t gotten much use out of the rear touch screen, I admit there was an adjustment period getting the movements to translate quite right, but it’s certainly a smart and thematic use of the Vita’s oft-ignored feature. If that proves to be too much, though, you can also use the control sticks to guide the firefly duo. Either method you choose, the combination of slow, deliberate controls and sometimes-sadistic puzzle design makes this one of the most difficult games I’ve played in some time. Fortunately, it doesn’t always look post-apocalyptic. The puzzle difficulty, combined with with the beautiful-yet-bleak aesthetic makes it feel like Mion is trying to escape from Hell, or at least Purgatory. And while there’s not a word spoken or sign to be read, the game adds to this feeling by juxtaposing Mion’s current environment with memories that she finds during the adventure. As she picks up these new memories, we get to see snippets of her life before, and as everything went to, well, Hell. These fleeting moments are quickly dashed away the next time a boulder accidentally lands on poor Mion’s head, leading to yet another grisly, tragic death. It certainly snapped me back to reality, reminding me that there’s a long, grueling road still ahead. I didn’t feel like it broke the immersion for me, instead made the situation just feel even more pitiful with each life lost. Those deaths are accompanied by a visceral squish or a gruesome slash to really provoke guilt for costing Mion another life. These sounds, the environmental noise, and the music are all you’ll ever hear during htoL#NiQ, yet they manage to convey the emotions of the story quite well: sometimes serene, sometimes treacherous, it all blends in. The only time it really sticks out is during the jump from the main game into the happier memory scenes, where both the color pallet and the audio are strikingly different. While jarring, I think this juxtaposition actually works in the game’s favor, showing just how different things are now. Telling the story through visuals and music feels like a great fit for this game, though. While it doesn’t do it quite as well as Journey (But what game does? 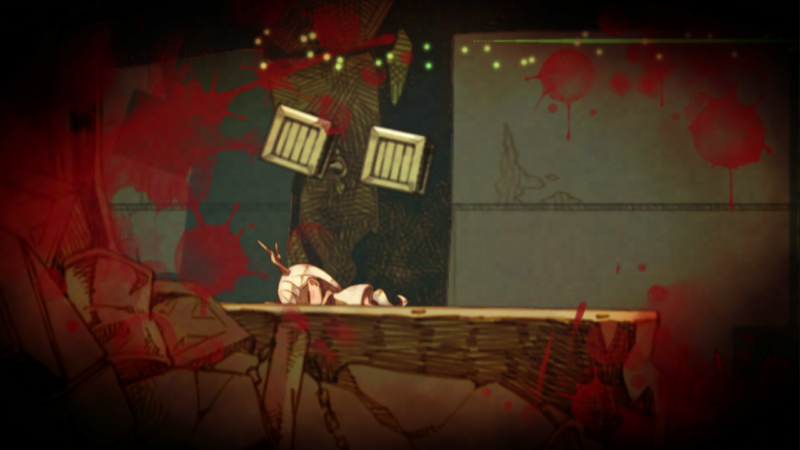 ), it feels like htoL#NiQ works better this way. This game certainly isn’t for everyone. The challenge and the controls will make some gamers give up before they finish. However, if you like a fiercely difficult platformer and have the patience of Job, you’re probably in the target demographic. If not, you might want to budget for a new Vita, just in case you break yours in frustration.